Dr. Reyes L. Quezada was born in San Juan De Los Lagos, Jalisco, Mexico. His family of 8 immigrated to the United States and settled in Southern California in a farm near the Mexican border by Brawley. He was seven years old. His father was a farmworker and participated in the Bracero Program (Guest worker) in the early 1960’s, his mother was a stay home mom who provided a caring and loving environment for his brothers and sisters. He has been a teacher, community college counselor and teacher educator for the past thirty-eight years, twenty of those years as a professor. He joined the University of San Diego, San Diego California in 1999. He has been a professor at the University of Redlands, and California State University Stanislaus. He holds Community College credentials in Counselor Education, Supervision, Psychology, and a California Multiple-Subjects Bilingual Emphasis Teaching credential-Spanish. His degrees include a Bachelor of Arts from San Jose State University and a Minor in Mexican American Studies, and holds four Advanced Degrees-a Masters degree in Education from the University of San Diego, and a Masters degree from San Diego State University, a post Masters degree-Educational Specialist degree from Point Loma Nazarene College and a doctorate from Northern Arizona University, Flagstaff, Arizona. Dr. Quezada has presented at international, national, and state conferences (France, Spain, South Africa, Mexico, Costa Rica, Middle East, Italy, England, Colombia, Canada, Hong Kong, Thailand, Cambodia, Philippines, Czech Republic, Greece, Ghana, and in Israel). His teaching, research and publications are on issues of cultural proficiency, equity, international education, diversity, family school and community engagement, bilingual education and migrant education. His publications include four books, twenty journal articles and eleven book chapters. He has edited five themed journals on internationalizing colleges and schools of education for the Catholic Education Journal, Teacher Education Quarterly, and in Teaching Education, as well as on Family, School and Community Engagement and Partnerships in the journals Teaching Education and Multicultural Education. 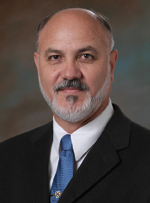 He is on the board of directors for state, national and international organizations including the national Council of Educator Preparation Programs (CAEP), the American Association for Colleges for Teacher Education (AACTE), and the current Chair of the International Council for the Education of Teachers (ICET). He was the Co-chair of the California Commission on Teacher Credentialing-Committee on Accreditation (COA), and was Associate Editor for Teacher Education Quarterly, and sits on many editorial and review boards including the Annual Editions of Multicultural Education, Teacher Education Quarterly, Issues in Teacher Education, the School Community Journal, the Journal of Hispanics in Higher Education, Educational Research Journal, Teacher Education Quarterly, Horizon, the Journal of International Studies, and Issues in Teacher Education. He was on the San Bernardino County-Third District Supervisor Representative to the Equal Opportunity Commission, and former School Board President and current member for Real Journey Academies Charter School in San Bernardino, California.